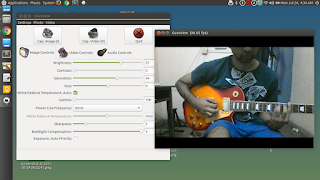 Guvcview is a webcam recorder software for Linux. Its the best recorder I have come so far. 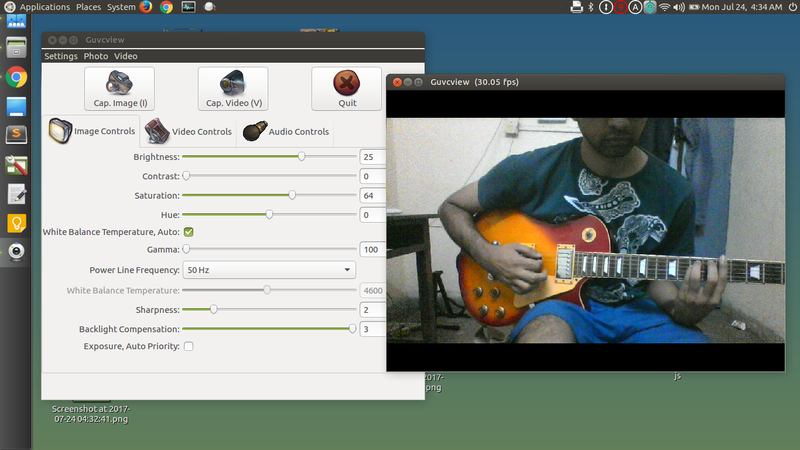 Its simple and uses less resources compared to other webcam applications like Cheese or KDE Kamoso. It has a two window interface one for just displaying the video and the other for different controls and settings. It can record still images as well as video in different file formats .bmp, .jpg, .png, .avi, .mkv and .webm etc.. It has many video control options like Frame Rate, Resolution and Video filters like Mirror, Invert, Negative, Mono, etc..
Its the default webcam application with Lubuntu Distribution.